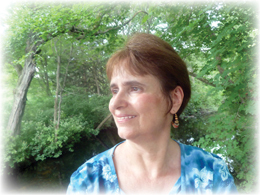 This is from my latest column on Catholicmom.com. It is taken from the Mary, Queen of Peace Meditation Guide & Sung Rosary booklet. Much has been said by wiser minds on all that took place on Good Friday. As I cannot add anything to enhance these insights, I thought instead to offer you a simple meditation on the crucifix as a way of honoring and learning from our Lord’s great suffering for us. 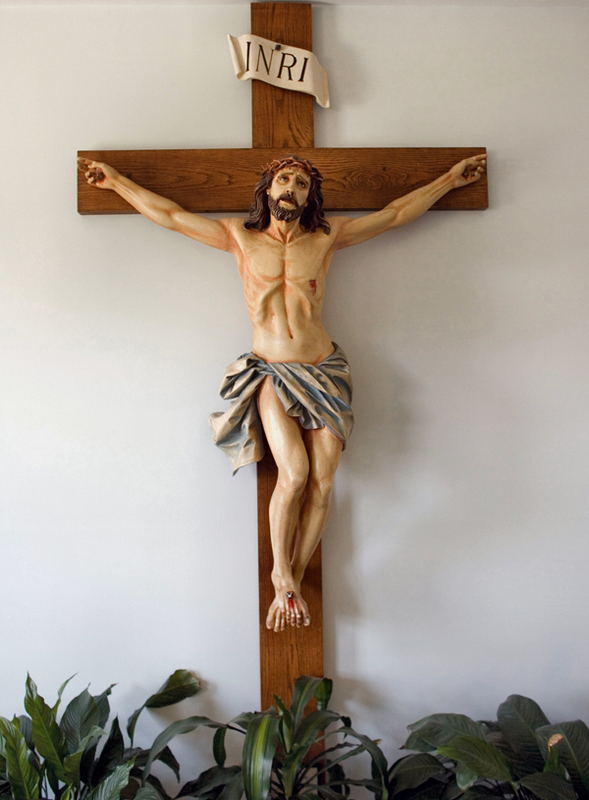 Gazing upon the crucifix, begin by reciting or chanting “Lord, have mercy” five times (you can chant the phrase by just singing the same note for each word). Each time it is recited, focus on a wound on Christ’s body. For example, recite “Lord, have mercy” and meditate on Christ’s feet. Recite it again and focus on the left hand. Recite it a third time and meditate on the right hand. Recite it again and gaze on the wound in his side. Then recite it a fifth time and focus on the head. Repeat this cycle eight times, thus reciting or chanting the prayer forty times in total. In my meditations I found, for example, that as I focused on the nail marks in His feet, I thought about where those feet had traveled. I studied the wounded hands and wondered whom they had healed. I thought about his heart, pierced and yet so full of love. I thought about the head and the emotional and mental agony he went through, and yet also marveled at all the wisdom and knowledge that resided in that head. I recalled his teachings, exhortations, and words of comfort. These are just some of the places where this meditation can take you. May the Spirit of the Living Lord guide you as you gaze upon his wounds and contemplate his love. For a further Good Friday meditation in video and song, click here. I don’t normally use this blog to promote my music so directly but since one of my products was accepted for two print catalogs, I wanted to let you know. I am pleased to announced that the Mary, Queen of Peace Meditation Guide & Sung Rosary is now available in the print catalogs of The Catholic Company and Leaflet Missal. This means you do not have to order this booklet and CD online if you would prefer to call an 800 number. to get your copy of the Mary, Queen of Peace Meditation Guide & Sung Rosary. If you have ordered the project and have been blessed by it, feel free to leave a review so that others can know about it too. During this special time of year with Lent, Easter, First Communion and Confirmation, the Mary, Queen of Peace Meditation Guide & Sung Rosary makes a great gift. If you have never heard the Sung Rosary before, here is further information. To all of you who over the years have so generously supported this project with your prayers and purchases, thank you!